When Brad Wilcox wrote The Continuous Atonement it changed the way we understood this most important role of our Savior. The atonement is not just a one-time-deal...it is continuous! Now the book has been adapted for teens...giving them relevant stories and examples that more closely apply to where they are right now. You will learn that it is okay to struggle along..."however long it takes." You will read about "who needs a savior" and how "He's got us covered." Wait until you read the story of the "one lone branch." WOW! SO GOOD! Sometimes we believe that we are not worthy for the Lord's help, or that we are broken --- beyond repair. "Christ doesn't just make up the difference, He makes ALL the difference." Filled with a message of HOPE! What a wonderful book! While the book is specifically aimed at teens (there is a longer version for adults), there is much here that is appropriate for adults as well. The author's purpose is to provide comfort for those who want so much to be good and yet fail time and time again. The focus here is on the Savior's Atonement and what it really means in terms of repentance and forgiveness and receiving the daily strength we need to face our challenges and temptations. The author emphasizes the CONTINUOUS nature of the atonement, how it's power never fails and never wains. At the end of each chapter, Brother Wilcox shares ideas for teaching these doctrines and ideas to others around us, a great idea for teens who love to talk to their friends about everything. A great book to help teens understand the importance of not giving up and relying on Jesus Christ to help us repent and change for the better. Poignant and clear explanations of the grace and Atonement of our Savior Jesus Christ. 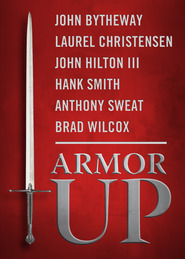 Perfect for teens and young adults who are working on understanding these key principles of salvation. 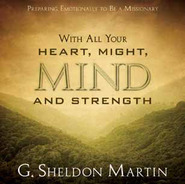 This book is a beautiful reminder and a great resource from an insightful instructor. I used it recently when preparing a Young Women's class and it helped generate a great discussion. I have thoroughly enjoyed reading the new book, The Continuous Atonement for Teens by Brad Wilcox. The Atonement of Jesus Christ is central to my belief in the gospel and understanding how the atonement works in my life has made all the difference for me, especially over the past two years. I have went through some rough times and relied on the Lord to get me through. I've seen how putting my trust and faith in Him has made it possible for me to continue, keep moving forward, even when times are tough. The reason I love The Continuous Atonement for teens is because Brad Wilcox explains the principles of the atonement and how it works in clear context. He gives excellent examples, inspiring stories, and so much hope for this gift that we've been given. I have marked several passages in my book and I'm so glad that I have this so that my own children can read it and understand how grace and works make the gospel what it is and how the atonement is for ALL of us ALL the time. As a member of The Church of Jesus Christ of Latter Day Saints I believe in the Bible and the Book of Mormon--both works teach of Jesus Christ and the love our Heavenly Father has for all of us. I'm grateful that His grace is sufficient for me and that through His atonement I can continue to move forward and learn all that I need to while on this earthly sojourn. I'm grateful for the Atonement and I think this book is an excellent teaching tool to understand and apply to life. This book is the teen version of Brad's book, The Continuous Atonement which I'm looking forward to reading next. I am a BYU student and saw this book in the BYU Bookstore. 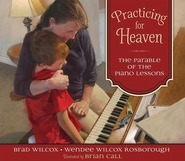 I decided to buy it because I love Brad Wilcox. I have since finished the book and will be sending it to my three teenage siblings. They don't always like reading "Church" books, but I know they will love this one. In Sunday School you always hear the terms "grace" and "apply the Atonement", but you don't really know what they mean. 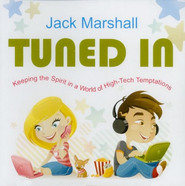 This book helps to simplify those terms and give examples that will keep teenagers interested. Thank you, Brad Wilcox! We're sending teenagers out into the world to teach the gospel of Jesus Christ. The teachings and stories in this book will help teens understand and more importantly be able to teach and explain how important the Atonement is in our lives today. I love the Wilcox stories but his questions allow you to reflect and dig into your own personal experiences and stories. Such a wonderful way to explain the atonement. Easy to understand and very hopeful! This is something that anyone could relate to and feel uplifted by and will be a great tool for missionaries! Definitely a must have!